Journal writing is an excellent way to strengthen your writing skills and create material for articles, books, publication or presentation. Sometimes a sentence or two will do the trick, and there are the days when words spill across the pages like water rushes in the first heavy rain following a drought. The journal is an “un-edited” writing that helps the writer translate life and experience into the medium of words. In the next column, we will talk about the editing process. 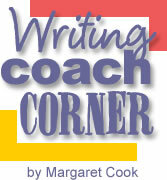 The columns so far are ways to encourage you to incorporate writing into your life and relationships. Initially it is important to expand your writing practice and opportunities and a journal is a wonderful method. Perhaps, like many writers you have filled a journal or two in your life. Maybe one that was assigned at school or better yet one you kept during a key point in your life. If you have an old journal, dig it out and read a little. You will see why this is a way to improve your writing skill and perhaps the quality of your life. As a psychotherapist, I often encourage people to keep journals as a way to reflect on experience and learn about themselves. More than one of my clients has gone on to write and publish after becoming a journalist. Journal keeping is good for the writer and good for the soul. Read some of the books that show the ways journals can shape literature and prayer. Experiment with ways to keep your journal and find what works best for you and your lifestyle. It is important to be consistent and to weave this into the fabric of your life. Spiritual journals are valuable for many people of faith. Some years ago I started a “Journal of Answered Prayers” that has encouraged me on many days. I often take a scripture and write about it to explore its meaning and my reactions and interpretations. You may also find it helpful to write prayers and blessings in a journal. I remember one mother who wrote her prayers for her child over a two year span. This was a time when the child was going through a lot of change. What a wonderful way to consider how to love children in difficult times and to cope with the feelings of helplessness when your role is changing. Find a way to journal your own journey of life. Write daily or weekly for the best opportunity and adapt a method that will work for you. Journal in a notebook or on the computer, but the more you write the better writer you become. Open your heart to the page and you will never be the same. The land is refreshed in the first rain after the drought, but so much of the water runs off because the ground is so parched at the onset. Keep writing something so that your heart and page will be ready always for the rain. The reading list includes a number of books for young readers that you will enjoy. We are never too old to read books for young readers. Learning and Journal writing go together. Look at This for ways to organize your journal reflections. Copyright © September 14, 2006 – Margaret Cook. All rights reserved.